I recently switched 3 of my newest sites over to CloudFlare to give it a try after I’ve heard so much about it. After just two days, I am impressed with that it has done for me. The screenshot below sums it up pretty well. 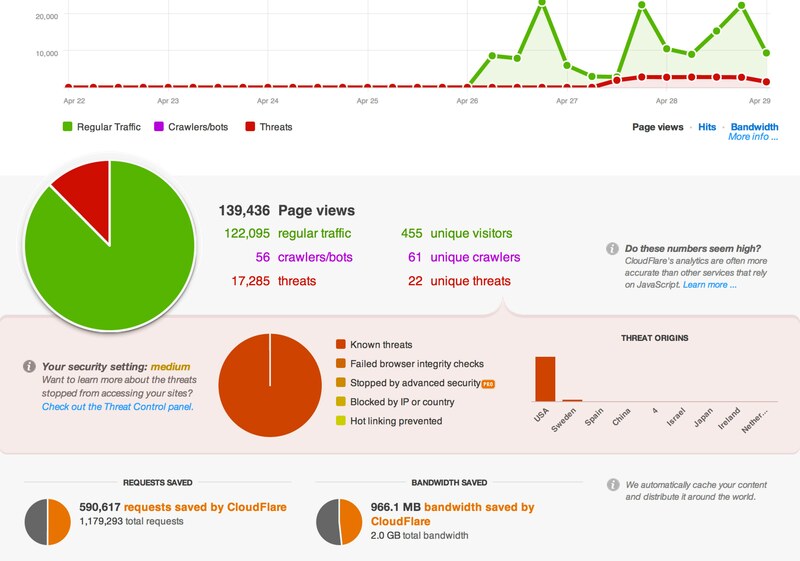 I most definatly plan on using CloudFlare for other projects, and I suggest everyone checks it out as well! Current Bitcoin Price for Android! ethereum on CryptoTrack Open Sourced! Daniel on CryptoTrack Open Sourced! Brandon on CryptoTrack Open Sourced!